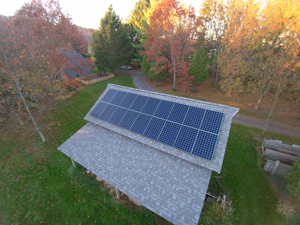 We are Helping to Bring Solar to Your Community! Sky-high electric bills? The solution is in the sky! Solar power is the leading source of new domestic electricity production in the United States because it works, and it works great in New York! Community SolarNY is an effort under NY-Sun to make installing solar more obtainable to communities across New York State. The program supports projects known as “Solarize” campaigns that are locally-organized community programs focused on getting a significant portion of area homes and businesses to install solar. NYSERDA is supporting these campaigns by providing technical assistance and funding. 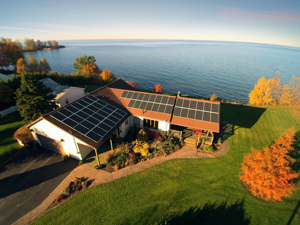 Solarize campaigns are making it easier and more affordable than ever to install solar. The campaigns aim to help residents and business owners overcome the financial hurdles of installing solar through volume purchasing. With a large focus on education, the solarize campaigns are bringing communities together through implementation of outreach and educational programs that are designed to teach you the benefits of going green. If you are truly interested in learning more about how solar power can work for you, your family or your business, you don’t want to miss out! Talk to Halco's certified solar professionals and get the answers to all of your solar questions. You can even sign up for a free home energy assessment to assess the possibility of solar for your home. Reduce your energy bills and take a step towards energy independence with Halco! Solar installation contractors are selected for specific Solarize campaigns through a competitive bid process. In conjunction with the Solarize teams, selected installers will help lead community events and teach you all you need to know about going solar. Together, we can take a collective action to reduce the use of fossil fuels in the community! Please visit our events page for additional information on upcoming Solarize workshops or feel free to contact us and we'll answer all your questions about your solar project!